The Kenyan coast feels like a different world from the savannahs of safari country. With its pristinely white, sandy beaches, indented by mangrove creeks and shaded by coconut palms, the coast blends the bright light and colors of the tropics with the sparkling azure-blue of the Indian Ocean and is home to some of the richest marine life in the world. Diani is one of the most popular beaches in Kenya with its flawless, long stretch of white-sand beach, hugged by lush forest and kissed by surfable waves. It’s a great destination for a diverse crowd: party people, families, honeymooners, backpackers & water-sports enthusiasts. An hour north of Diani is the island city of Mombasa, East Africa’s biggest port. Here you can visit the 16th century Fort Jesus & shop in the alleys of the old city. The beaches of Nyali, Vipingo, Kikambala and Shanzu are home to world class resorts with fine cuisine and services. 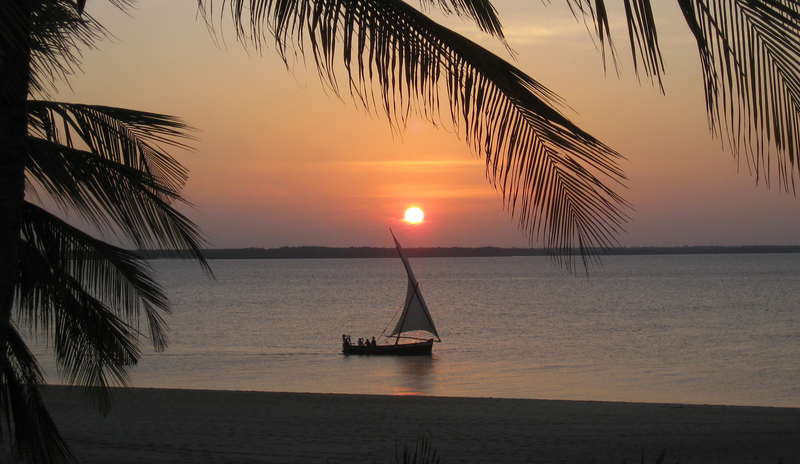 Watamu stretches along a beautifully-sculpted coastline of old coral islands and headlands. There’s a small, traditional village, an excellent beach, opportunities for diving & snorkelling, plus wonderful wildlife & culture excursions at Arabuko-Sokoke National Park and the ruins of Gedi. Spend your days strolling along the waterfront, exploring Lamu Old Town (a World Heritage Site), or relaxing on the beach. Dhow safaris take you into the surrounding archipelago, where isolated villages, ancient ruins & a few exclusive resorts lie hidden. There are only three vehicles on this island and donkey and dhow remain the dominant form of transport. Why not enjoy the tranquility and unique beauty of the Kenyan coast while promoting the protection of Kenya’s marine environment? There are many great initiatives including the Watamu Turtle Watch, Donkey Sanctuary in Lamu, and Coral Reef Conservation Project that you can support to promote the conservation of marine wildlife and the sustainable livelihoods of the local communities. Whether you want to jet off to the Kenyan coast for a romantic vacation, family trip, or an all-inclusive holiday, the expert team at Let’s Go Travel can help you plan for the exciting and unique adventure that awaits you.